Congratulations WeMo! WeMo® Water lands on the prestigious list of most forward-thinking, creative, and useful iOS-related products coming to market this year at the International Consumer Electronics Show 2015. 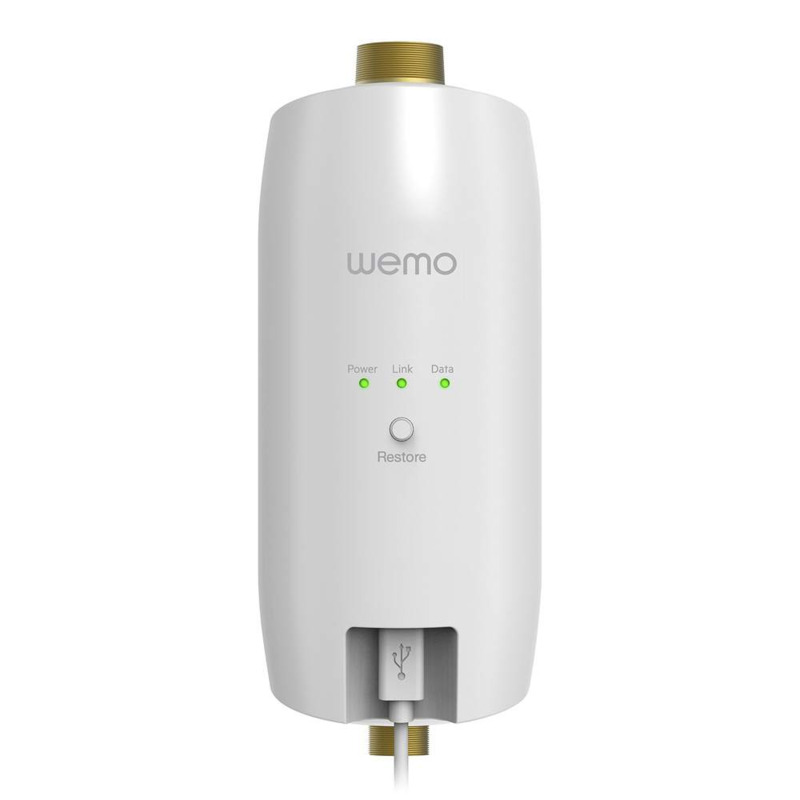 WeMo Water is a simple, single sensor that helps you monitor your water usage, indoors and out. All from under your kitchen sink. Though still in development, this innovative solution is a welcome addition to the WeMo family. Read on to find out why. WeMo Water senses the pressure changes that occur throughout your plumbing system every time you use water. Advanced, machine-learning-based algorithms then analyze these pressure changes. 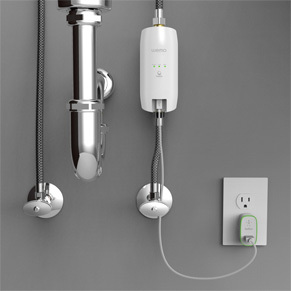 First, WeMo Water identifies every fixture in your home - from shower, to toilet, to irrigation. Next, it logs when, and for how long, you use each fixture, and calculates how much water each consumes. WeMo Water's detailed data lets you know where to use water more efficiently. It can even identify leaks and other potential problems - before they become serious. It's an ideal solution for homeowners, residential building managers, and vacation homes. 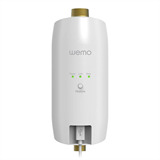 Simply turn off the cold water line, attach the WeMo Water sensor and plug it into a power outlet. WeMo Water has successfully completed several large-scale pilots. Stay tuned for future updates on this product, and sign up below for news on the whole WeMo family. Your selection has been submitted.